Indian Space Research Organization ISRO launched its Mars orbiter Spacecraft named Mangalayan in September 2014 and it has been orbiting our red planet since September 24, 2014. 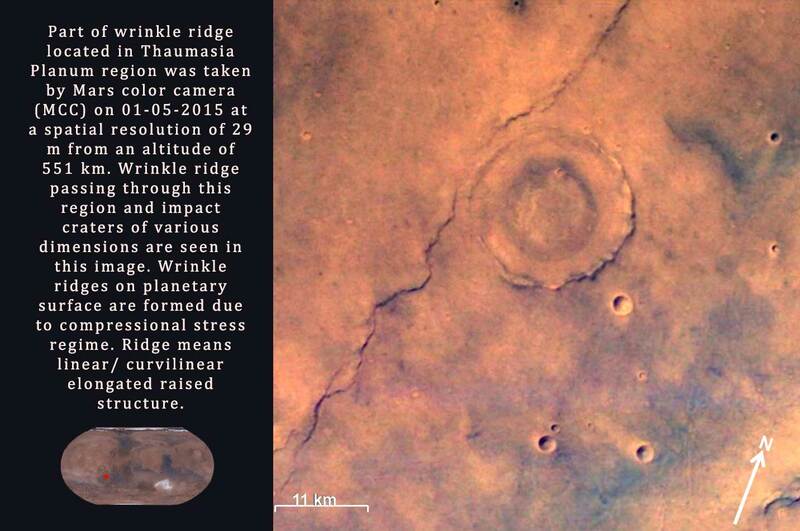 The Polar Satellite Launch Vehicle (PSLV) rocket C25 which was launched by ISRO has brought to us some breath-taking images of the landscapes on Mars. The images published by ISRO have gone viral in the internet within no time. 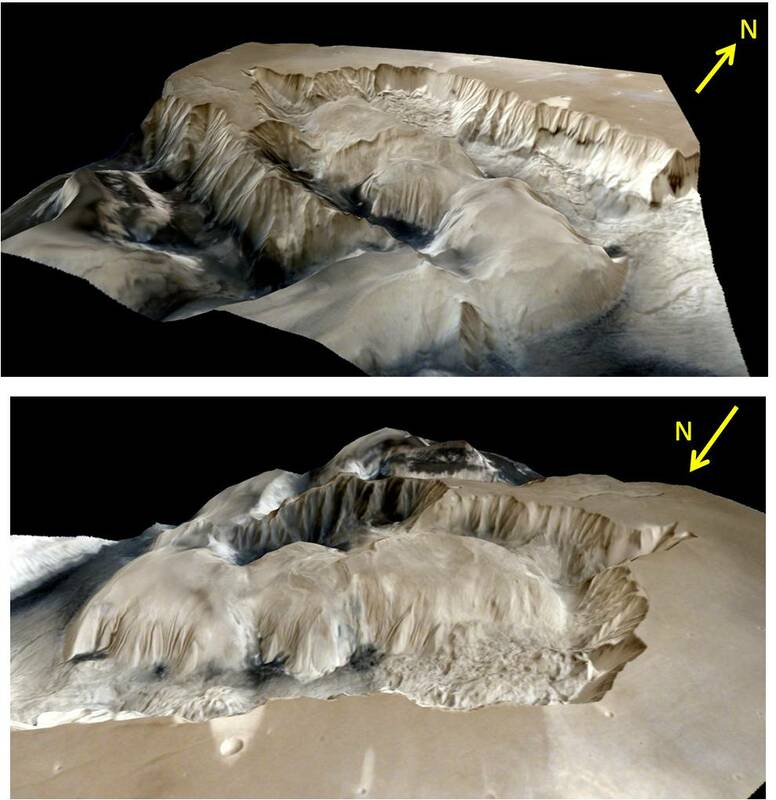 The pictures have been captured using Mars Color Camera and are showing a spectacular view of the Ophir Chasma canyon. 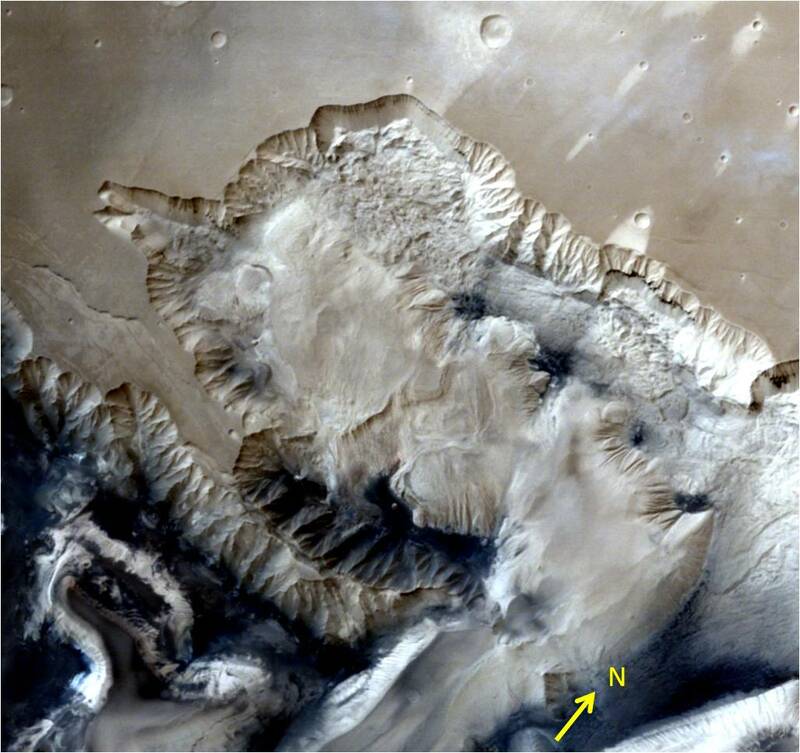 The Ophir Chasma canyon is located in the Coprates quadrangle of Mars at 4°S latitude and 72.5°W longitude. 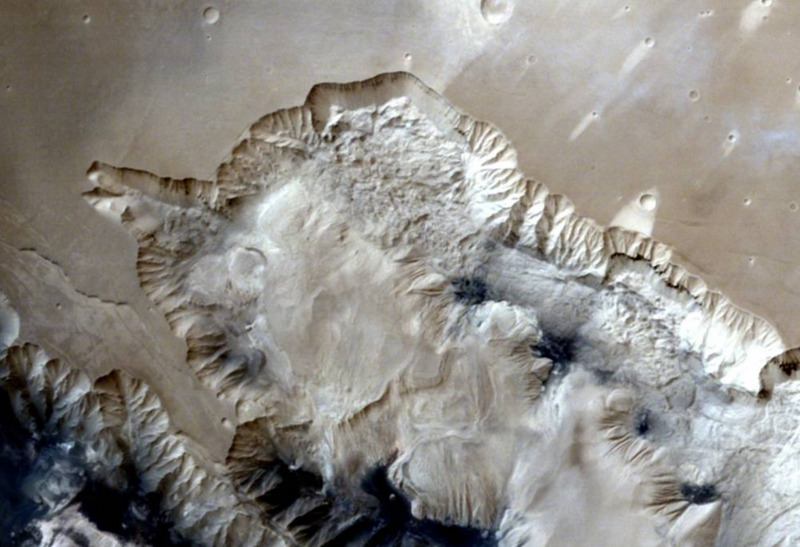 The name Ophir Chasma has been derived from the word chasma meaning elongate, steep sided depression. The term chasma was coined by the International Astronomical Union. You can see the details of the images from the markings given. Indian Space Research Organization (ISRO) sought to carry out interplanetary research and studies with our Red Planet since a long time. Just like other three nations, India also successfully launched the space vehicle in Mars orbit and emerged as the fourth nation to do so. The most important feather in ISRO’s Crown is that it is the first nation of the world to accomplish the mission successfully in the first attempt. The main goal of the mission is to study the landscapes, Martian climate, minerals and land sculptures on Mars. Since research has found out that Mars have more favourable conditions for life sustainability than earth, there is a possibility that Mars has life in it. Hence another main goal was to study the presence of methane in Martian atmosphere because methane is produced naturally from living organisms. The mission implementated a beautiful collaboration of deep space communications, navigation-guidance-control capabilities and autonomy at the spacecraft end.